Have you ever wondered what the Animators look like? Well, we dug up some pics, and now you can find out! This is Andreas Deja. 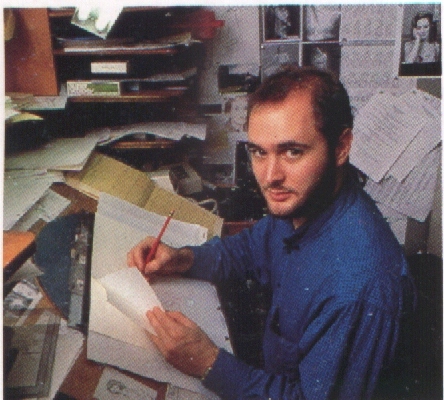 He was the supervising animator for Hercules, Scar, Gaston, and Jafar. Isn't James Baxter cool? He was the supervising animator for Quasimodo, Belle and Rafiki. 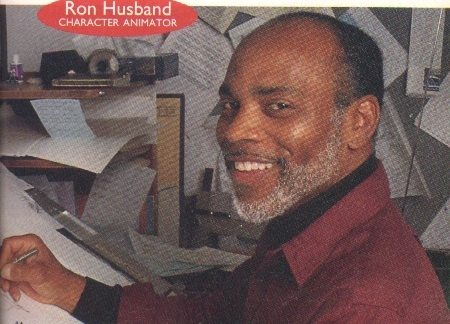 He also worked on Joanna in The Rescuers Down Under, as well as Roger Rabbit. 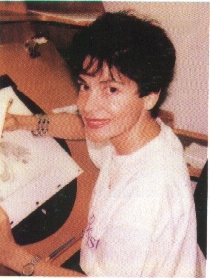 Vera Lanpher is a clean-up animator. The head of the Cleanup Department, in fact. She's worked on many, many Disney movies, so I won't list them all. From left to right, these guys are Will Finn, Nik Ranieri, and Dave Pruiksma! They are cool, but I don't remember much about Will's career, except that he did Cogsworth and was head of story and supervising animator for Laverne in Hunchback. 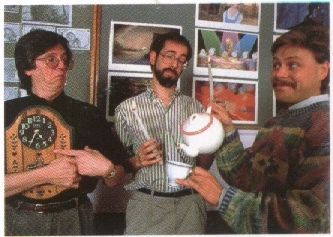 Dave did Meeko and Mrs. Potts as well as Victor and Hugo, and Nik did Lumiere and Hades. 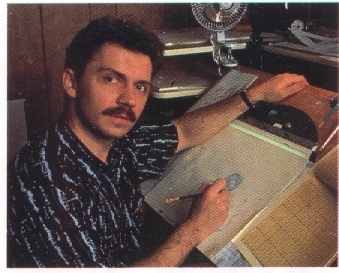 Ron Husband was the supervising animator for Djali! Or back to the Shrine!